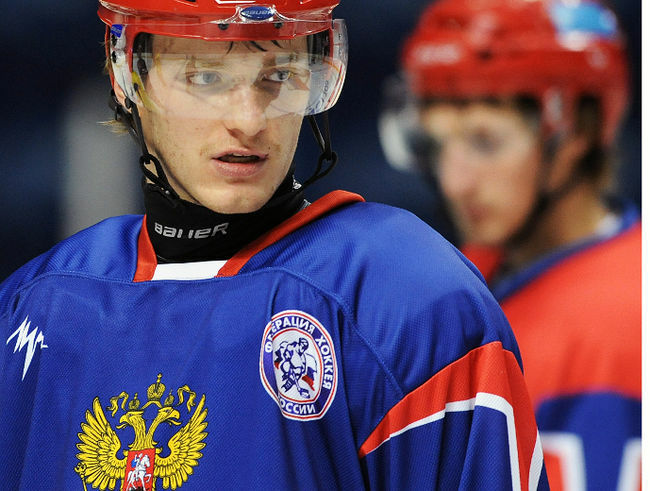 Mikhail Grigorenko recorded an assist Thursday as Russia prepped for the 2013 World Junior Championship with a 3-2 loss to Canada. The game played in Yaroslavl was the first of the Canada/Russia Challenge, a four-game event that will conclude next week with games three and four in Halifax. The two countries will go right back at it on Friday. Grigorenko stood out with his size and vision. He showed both his raw and cerebral skills when the puck was on his stick, and he seemed to know where his linemates were at all times. His secondary helper came in the third period on a Nail Yakupov power play tally. Can you give an assessment of Grigorenko's skating? Some Sabres fans think he looked real slow. Is he slow or is that just his skating stride for a big man? I thought he did a good job dicating the pace of the game when he had the puck on his stick (Mario Lemieux was good at that).